Gotham Talk Radio’s “In Your Face Politics” show hosted by New York Politicos, Brad Gerstman & David Schwartz can be heard on 620AM Radio WSNR on Wednesday nights at 8:00pm. 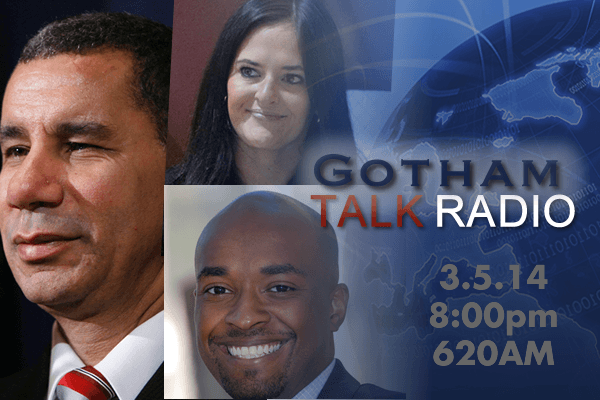 After many years of appearing on various local and national TV, radio and print media, Gotham Government Relations’ founding partners take their government relations and communications knowledge and experiences to the airwaves, providing listeners real live insight into the political process. With access to decision-makers in federal, state and local government, Brad and David have real insight into the why and what of politics. They understand politics as a “contact sport” and will bring listeners “play-by-play” accounts of everything that happened within the past week. The show features a variety of New York elected officials and political candidates, awarding them the opportunity to talk about key issues in their communities. They have hosted a variety of influential, powerful leaders such as Mayor Bill de Blasio, Governor David Paterson, Senator Greg Ball, Manhattan Borough President Gale Brewer, State Republican Chairman Ed Cox, Nassau County Executive Ed Mangano, Assemblywoman Michelle Schimel and Legislator Kevan Abrahams.